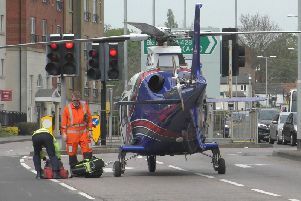 The accident happened on the A5 at about 1pm, with four vehicles involved. The road was been closed both ways between the B4036 and B5385. This is affecting traffic travelling between Weedon Bec and Kilsby. Police and firefighters are awaiting recovery of the vehicles.